the big question “is the high in/around 50 a wave III or a wave V?” I REALLY like it being a wave III because the current correction in form/balance is SO NICE. If that is the case, we are in the midst of the 5th wave of C that will take us into the 14 area for a really really powerful BUY. 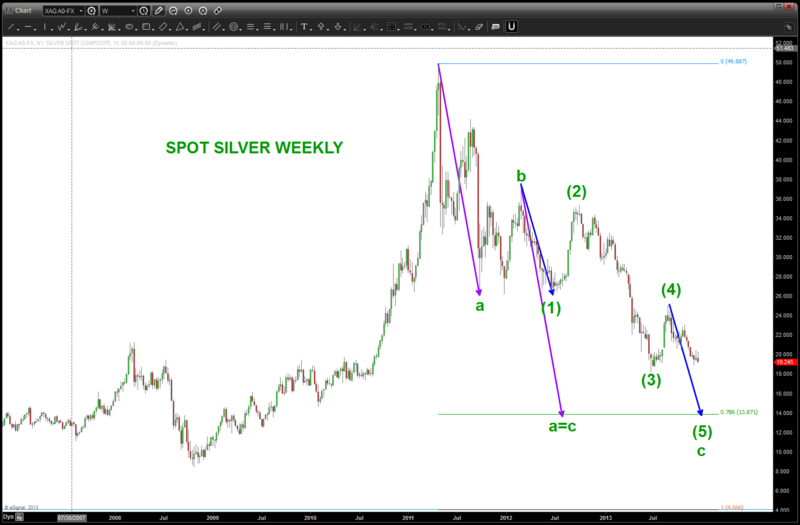 I have shown the 11 area based on the length of the corrective move from the old high in the 1980’s. 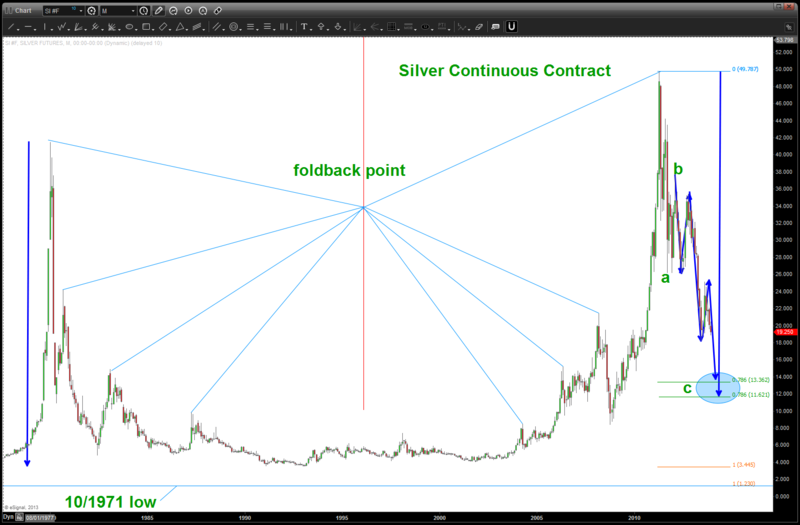 yes I know that silver is becoming overtly bearish from a sentiment perspective and w/ a very strong dollar forecasted is another 20% percent correction into the March 14′ time frame to out of the question?